1. 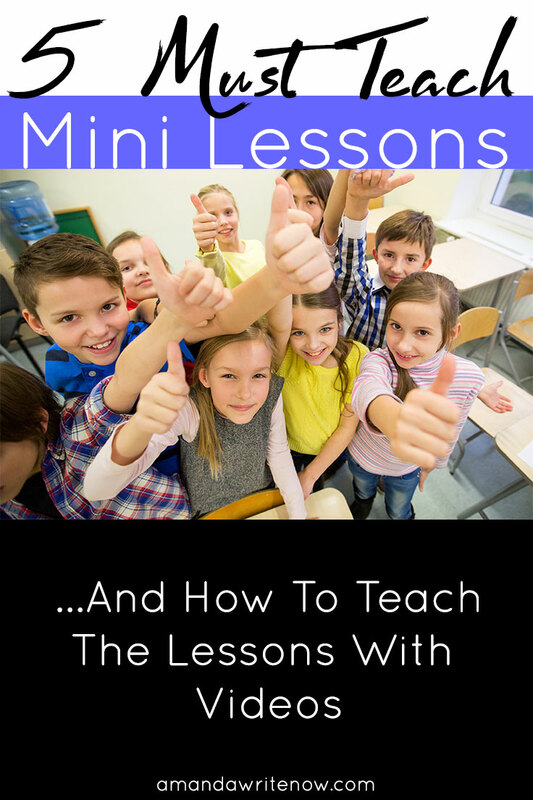 What is a mini lesson? Often, students raise their hand, shout out, play with their shoelaces or whisper to their friend during a mini lesson. Mini lessons are uninterrupted, brief, energetic and cover only one skill. But why is a mini lesson uninterrupted, why not let students raise their hand or ask questions during a mini lesson? Because, when it comes down to it, writing is a very lonely task and when a teacher teaches a mini lesson she is modeling what happens in her mind when trying out the writing skill she is trying to teach. Most writing workshop teachers know this, but do the students? No, they usually don’t know that our goal is to show students inside the mind of a writer. So we need to tell them! 2. How do I have a peer conference? There is only one teacher and thirty plus students, who all need support with their writing. It’s an impossible situation that can be made possible with peer conferences. However, if you just tell students to have a peer conference they will most likely goof off, distract others and not know quite what to say during the conference. This is why writing teachers should dedicate at least three mini lessons to teaching students how to interact with each other during peer conferences and what kind of attitudes are expected. I have the perfect bundle if you are needing some extra support teaching your students peer conference behavior. 3. What is writing stamina? Students who don’t like writing just haven’t built their stamina yet and it is important for teachers to help students understand this. Writing is hard and takes lots of practice just like playing an instrument or sport takes time to learn and improve, so does writing. I teach a stamina lesson at least once a month. We build our writing muscles by setting goals as a class and as individuals! 4. What do I do when I think I’m done? 5. What is a mentor text? Students learn through imitation and they have since they were babies, all humans do in fact and we need to point this out to our student writers. We also need to show students how to emulate mentors by pulling out our own journals and trying it out ourselves! Before each of my writing units I always spend at least a week reading mentor texts within the genre students will write in soon. Then, during the writing unit I pull out those mentor texts again and show how the mentor text inspires me. I literally write my ideas and emulate the author right in front of my students. I’m not going to lie, it is tough, but showing students that it is tough is vital! It is also vital to show students the difference between copying and emulating. I hope you found some useful tips, videos and information in this article! Please feel free to contact me, comment or share with your education community! Share With Your Education Community!